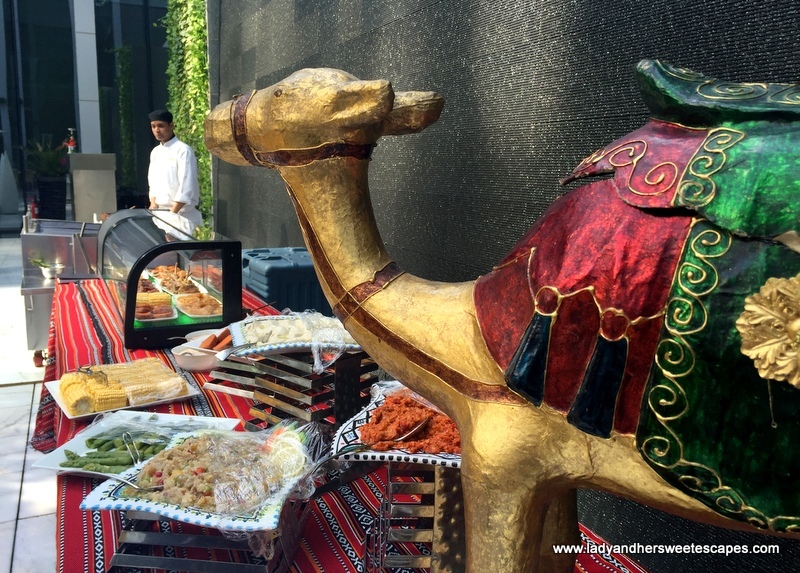 Have you ever wondered what would happen when the infamous Dubai Friday Brunch meets street food and street art? Oh surely, there's a whole lotta foodie fun! Nine7One at The Oberoi Dubai introduced an awesome Street Art Brunch concept late last year, and we were able to have a taste of it a few weekends back. The world-cuisine restaurant transforms its sophisticated ambiance into a lively street food market style atmosphere from 1 to 4pm every Friday. It's casual, eclectic, interactive, and so different from all the regular brunches in the city! Situated outside the restaurant is the Fromage and Charcuterie Walk - a colorful station of artisan cheese, house-smoked charcuterie, and gourmet appetizers. It's where our street food journey around the world began! We had a creamy and gooey Raclette from the Swiss Alps, a strange yet delicious Cactus Salad, a to-die-for Lobster with Jalapenos and Avocado beautifully served in a lobster shell, and a classic Peruvian ceviche. We also got some oysters from the station, but soon realized that there are "Oyster Ladies" serving fresh oysters in every table. fresh oysters opened right beside our table by the "Oyster Ladies"
Raclette from the Swiss Alps! Yum! Just like in a marketplace, interaction plays a huge part at the Street Art Brunch. 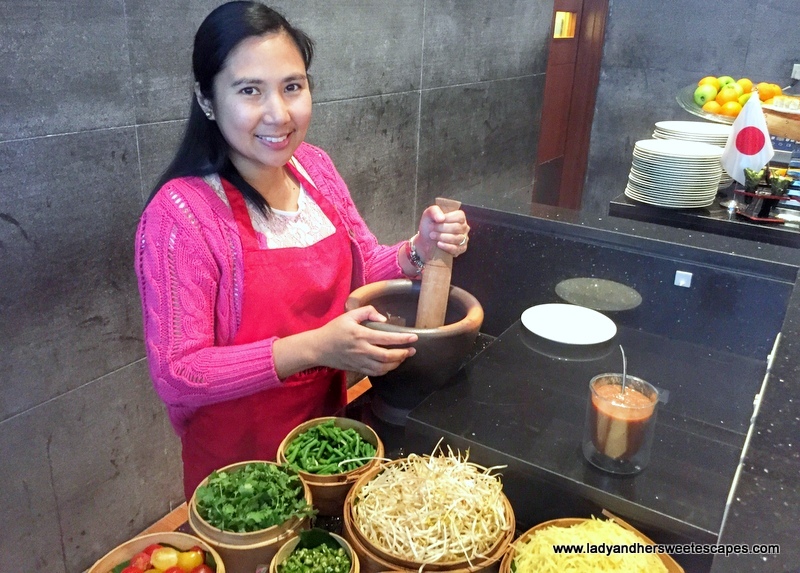 I wore a red apron and made my own Som Tam (Thai Papaya Salad) with the help of the chef. Then, I was guided through the Indian Street Walk where I got my favorite Papdi Chaat! And in a corner, we found a little entertainment in live-cooking station for hand-pulled noodles. That Chinese Chef is a Noodle Master! Indian Street Food - Chaat FTW! And there's the South American street food station where diners can request for a specialty. They don't stock food in chafing dishes, so we had to wait for our order to be served in our table. That's actually good as we got our prawn tacos freshly-prepared! I was amazed at how attentive the staff at Nine7One are. The moment our table was cleared up, a staff would offer a drink or a chef would come with a hot-off-the-kitchen dish! Ed and I happily accepted a bucket of Fish and Chips and a slider while we carried-on with our conversation. No need to stand up to take another serving! Nine7One's Street Art Brunch also has a salad station that embodies S.L.O.W (Sustainable, Local, Organic, Wholesome) food philosophy. It's so nice to know that the UAE can actually produce such healthy greens! Adjacent to the salads is a live-cooking station for well-loved Japanese dishes; the Temaki is a pure delight! It was the first time that I have chosen it over my favorite California Maki, and I love how the cone-shaped nori was brimming with crabsticks and tobiko. At the outdoor dining area, we spotted an Arabic Grill station where Ed ordered lamb chops and grilled chicken. The lamb meat was juicy and well-cooked, and the grilled chicken was equally delicious. I was so glad I kept enough space for desserts as the Street Art Brunch offers all the sweet treats I love and the dessert trends that I have been wanting to try! There's a chocolate fondue station, a live-cooking station for Churros, and gourmet versions of Gulab Jamon and Tres Leches. 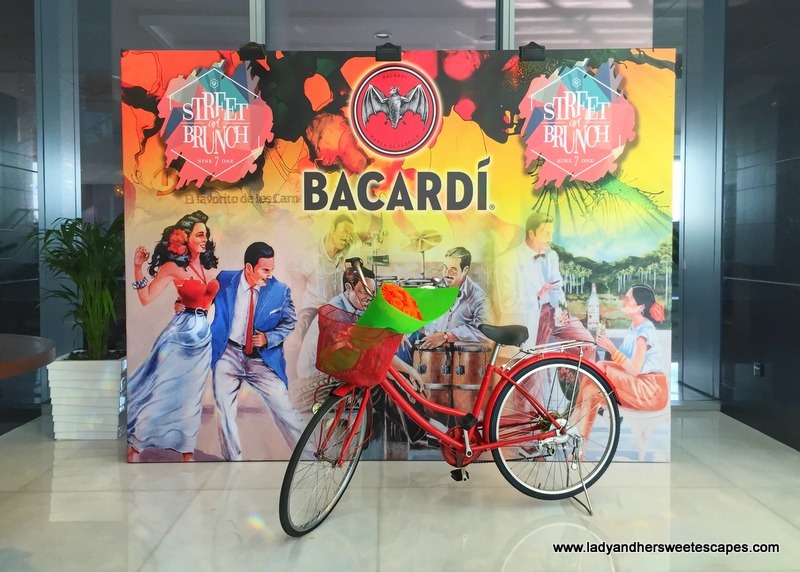 Bacardi Bar - Martini Tricycle - Mixology! Dubai Friday Brunch is incomplete without the bubbly and the cocktails, and Nine7One perfectly delivers! There is a Bacardi bar station in one corner, a Martini tricycle in the middle of the restaurant, and "mixologists" serving drinks we have never heard of before. We were guests at Nine7One, but opinions in this blog post are my own. For updates, follow our sweet escapes on Facebook, Google+, Twitter and Instagram! Too much food coma! I would love to try this! Thanks for sharing. I hope you keep in touch!